No Haitian meal is complete without a little something sweet to finish it off. One of my favorite desserts is blancmangé. This coconut-based gelatin dessert perfectly highlights the sweet island flavor of coconut in an unconventional texture of dessert. Blancmangé is a well-known and widely enjoyed all across the French West Indies. When I told some Martinican friends of mine that I was preparing this dish, the excited expressions on their faces perfectly captured the sentiment shared among me and all my family members when my aunt brings out dessert at the end of our family celebrations. 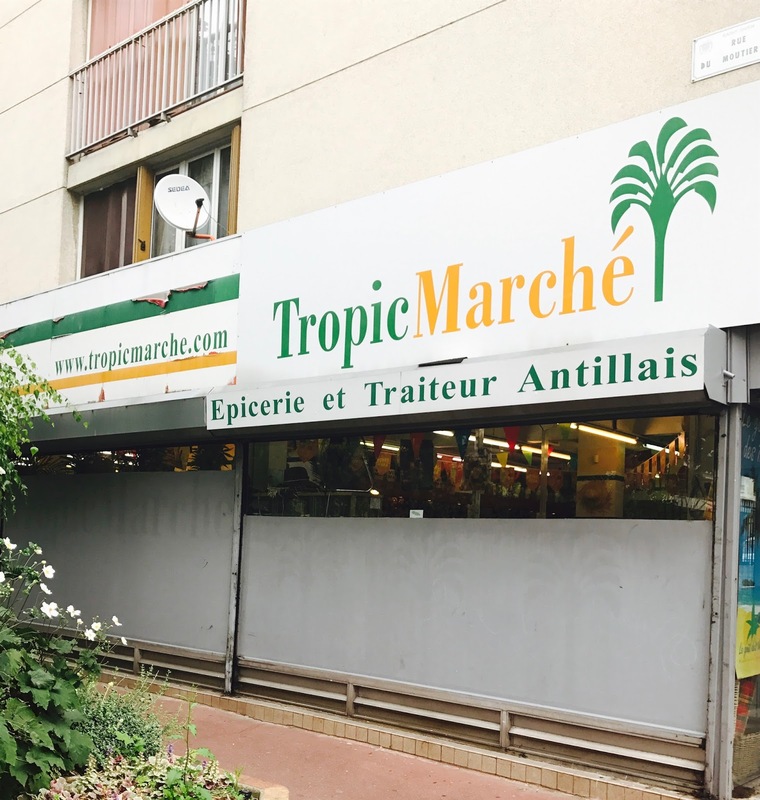 To begin my preparation of blancmangé, I started with a journey to TropicMarché, an Antillean supermarket in St. Ouen. This is where I purchased the coconut milk, condensed milk, cinnamon, and vanilla essence. They also sell a powdered mix of pre-prepared blancmangé which only requires the addition of hot and cold water, but I wanted to make it from scratch. 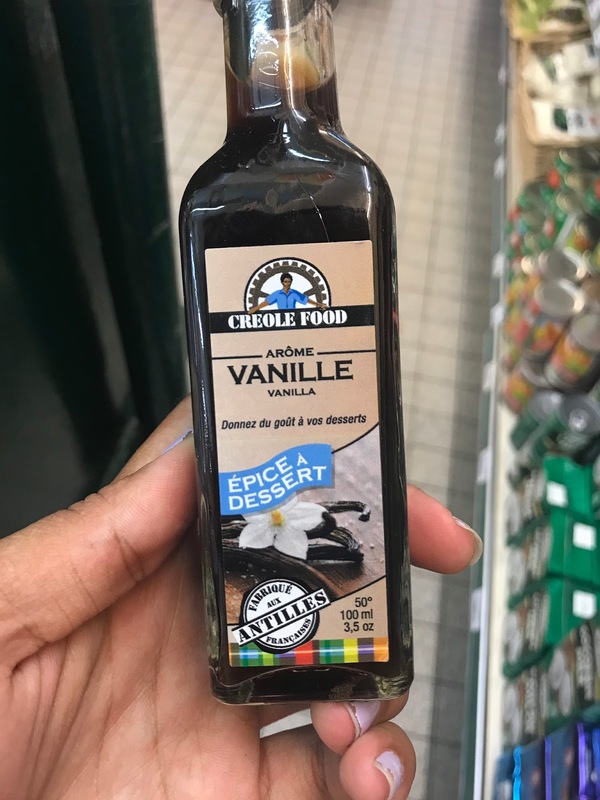 The most important part of going to an authentic Antillean supermarket to buy my ingredients was finding the right vanilla essence. Back home, my grandfather prepares vanilla essence from scratch and that’s the kind we always used in my household. I wanted to make sure I could get something as close to Grandpa’s essence de vanille as I could find. 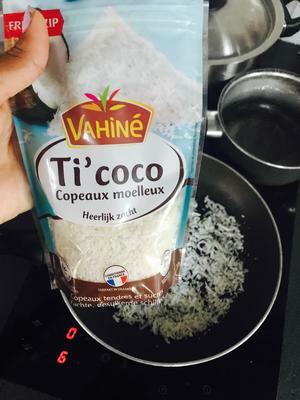 I found a brand that had a stamp indicating its production was in the French West Indies. 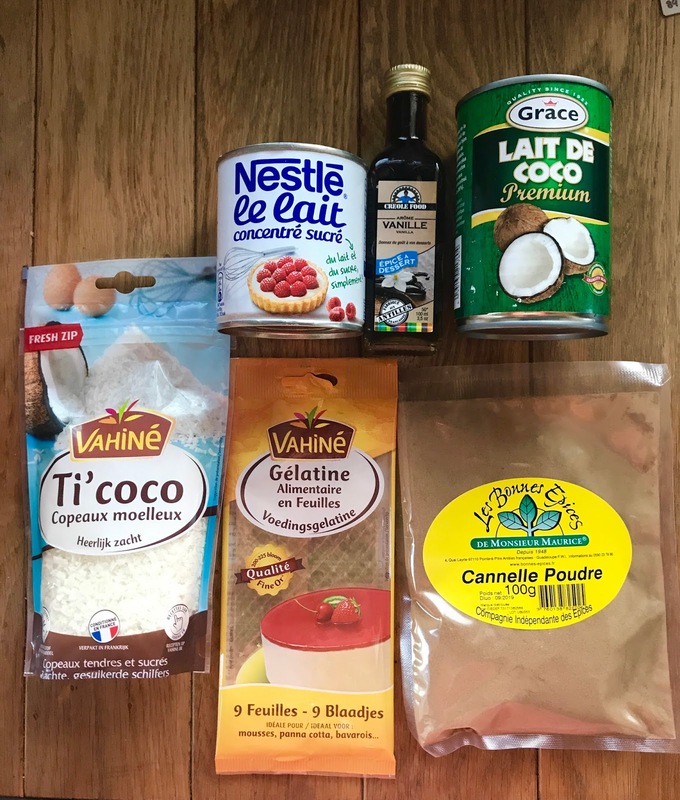 The rest of the ingredients, which were simply a packet of gelatin sheets and sweetened shredded coconut, I was able to find at my neighborhood Monoprix. For the recipe, I had to make a call to my Aunt Chantal, who is the blancmangé expert in our family. She guided me through the process to make sure I captured the right flavors and consistency of the dessert. The first step was to prepare the gelatin. I used gelatin sheets, but you can also use powdered gelatin. Be sure to follow the instructions on the packaging for the correct measurements of hot much water to add! This can make a big difference because if you add too much water, the blancmangé will not solidify to its proper consistency. 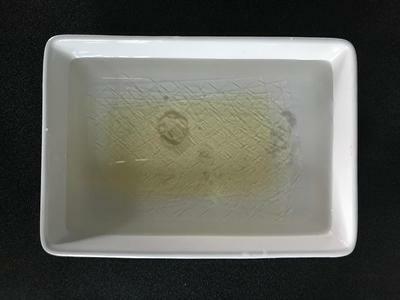 Soak 5 sheets of gelatin in cold water for approximately 5 minutes. 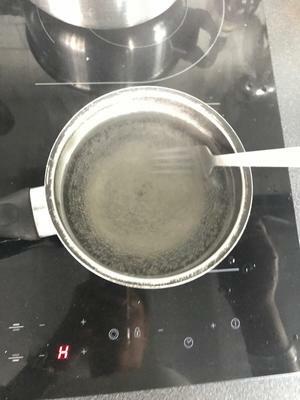 Then, bring 20 cl of water to a boil. Add the wet sheets of gelatin to the boiling water and stir until the sheets have completely dissolved. Next, in a large bowl, mix 400 g of condensed milk, 200 g of coconut milk, the dissolved gelatin mixture, and an additional 15 cl of water. Thoroughly whisk these ingredients together until they are evenly distributed. 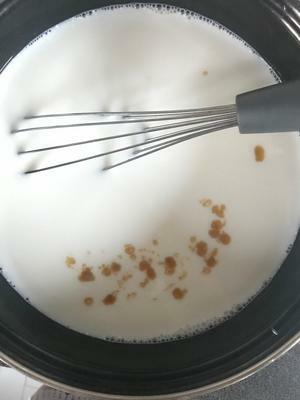 Add a dash of vanilla essence and a pinch of cinnamon and whisk them in. After you’ve prepared this mixture, transfer it into a relatively flat mold. Any baking mold will do, but traditionally a circular bundt cake mold is used for the most aesthetic final product. 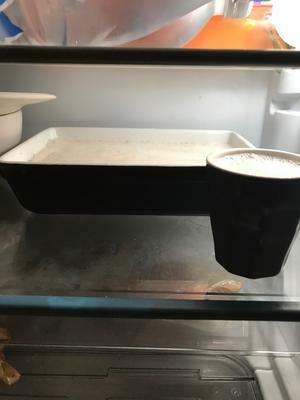 Put this mold in the fridge and let the blancmangé sit for a minimum of 6 hours. For the best results, leave it in the fridge overnight. Now, for the coconut shreds. 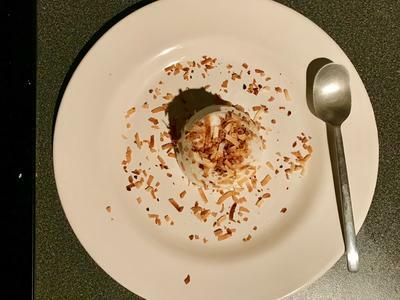 To garnish the blancmangé and give it a little crunch, toasted coconut shreds are sprinkled on top the dessert once it has fully set. 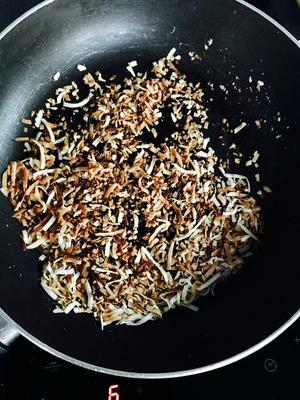 To toast the shreds, simply put a frying pan over medium heat and spread the shreds across the pan, periodically moving them around in the pan until they reach a brownish color. 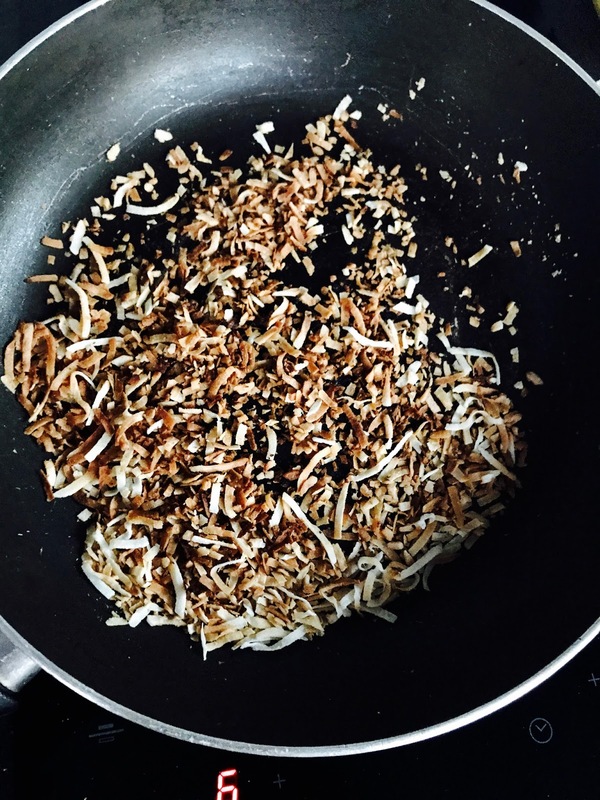 Store the toasted coconut shreds at room temperature until you are ready to serve the blancmangé. 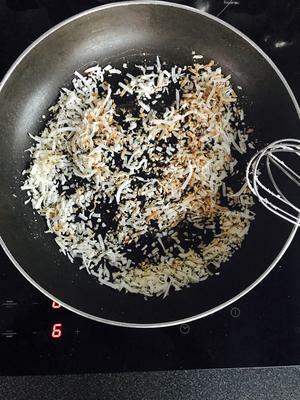 Once it has fully settled and you are ready to eat the blancmangé, flip the container onto a plate or any flat serving tray, sprinkle the toasted coconut shreds on top, and voilà! You have yourself a delicious Haitian dessert that everyone is sure to enjoy. Tatiana Balabanis is a rising junior at Stanford University. She is currently serving as a summer intern for the Wells International Foundation.